Don’t want to miss our next issue? Sign up for the email version here. NoIR LaserShields continues to expand their range of CE-approved filters for laser safety. Recent additions include the CT2 for use in the visible, and CTR, HYG and YGH filters for the infrared region of the spectrum. Elliot Scientific’s expert advice will guide you to the best in cost-effective laser safety. Academics, beauticians, clinicians et al, we can protect your eyes from laser mishaps. Contact us with details of your laser or ultra-bright light source application and we will be happy to help you choose the correct filters for spectacle frames or goggles. NoIR LaserShields has had ten of their existing filters for laser safety CE-approved. These are the: 10, 50, 60, 90, 92, 5032, 6032, RT1, RT2 and YG4. NoIR also revealed, at the recent Laser World of Photonics exhibition, a breakthrough polymer filter for Holmium-doped fibre lasers operating between 2 and 3 microns – the HOY. Elliot Scientific’s expert advice will guide you to the best in cost-effective laser safety. From academics, beauticians and clinicians… we protect the alphabet of laser users. Contact us with details of your laser or application and we will be happy to help you choose the correct filters, spectacle frames or goggles. If you need advice choosing the correct filter and eyewear, our experts are on hand and ready to help. Contact us with details of your laser’s performance and we will recommend suitable protection. Traffex takes place at the NEC Birmingham from the 21st of April for three days, and is set to be the most important event for the international traffic management, road safety, road maintenance and transport infrastructure industries. Elliot Scientific will be exhibiting the RoadVista range on Stand Z75. RoadVista has set the standard in retroreflectometer accuracy, reliability and usability for over 30 years in the USA, and Elliot Scientific will be demonstrating to an international audience how RoadVista makes roads visibly safer with a complete selection of instruments and testing services for street lighting and retroreflection measurements of signs and road markings. For more information about RoadVista and Traffex, contact us now. The Elliot Scientific July newsletter is now available. In this issue we announce the arrival of two new lasers from Integrated Optics, reveal Energetiq’s new X-series of LDLS illumination systems, cover safety eyewear from NoIR Lasershields, look at Elliot Martock precision slides and stages, and capture the mood of the SPIE International Year of Light 2015 photography competition. The Elliot Scientific August newsletter is now available. In this issue we look at NoIR LaserShields, the OZPEN carbon dioxide cleaning system for optics, FEMTOLASERS’ new datasheets, CRAIC Technologies’ new software, Kinetic Systems’ new mounts, QuAMP 2013, and more. Elliot Scientific’s existing laser safety portfolio is now complemented by our introduction of the NoIR LaserShields® eyewear product range. NoIR LaserShields®, who have been manufacturing laser safety eyewear for multiple applications since 1996 following its creation by parent company NoIR Medical Technologies, offer a comprehensive group of filters for protection against specific or combined laser wavelengths, a broad choice of frames to suit your face and pocket, and additional products for patient/client protection and pilots. More details on the NoIR LaserShields® Elliot Scientific offers can be found within the comprehensive product pages that show the filter groups, frame styles, and extras, along with datasheets and CE Certificates. If you have a requirement for laser eye protection, do contact us for advice on choosing the right eyewear as we always recommend you consult your laser safety officer, appropriate laser safety standards, and/or laser system documentation to ensure correct choice of eyewear and safe laser use. Remember, laser safety eyewear only offers protection against incidental exposure to specified beam energies so incorrect choice and use may lead to serious personal injury or blindness. Honeywell Sperian, a trusted and leading brand in laser eye protection, has released a new price and product list for 2013. The revised range of polymer and glass-based styles, which are designed to maximise visibility while providing unsurpassed attenuation, have been complemented with the Laser-Gard® range of aviation spectacles – to protect pilots against the hazard of laser pointers – and configurable optical table laser barrier systems. In addition, Honeywell Sperian also offer a range of protective goggles and window materials for use in the laser lab. Manufactured to stringent European and ANSI standards in an ISO certified state-of-the-art facility, Honeywell Sperian’s products offer superior performance, with their eyewear ensuring comfort and style like no others. To discuss you laser safety requirements, please contact us. Elliot Scientific offers a range of disposable eye patches for use with lasers, IPL, LEDs, low level laser therapy treatments and microdermabrasion – all are available on a next working day delivery basis to UK customers, with clinics in Ireland on a two day service. Manufactured by global safety leader Honeywell-Sperian, these high-quality products replace the need for intraocular shields while at the same time offering unobstructed access for treatment of the nose bridge, temples and all other areas near the eye. These innovative products offer comprehensive protection for patients and clients during a wide variety of facial and cosmetic procedures that involve lasers, IPL, or LED systems. They also make cleaning and disinfecting patient and client eyewear is a thing of the past. They are simple and quick to use, latex free and hypoallergenic. They remain securely in place during the procedure, yet are easy and painless to remove. These eye shields enable full access to temples, eyebrows and nose bridge and are designed to protect most orbital sizes. All products are CE-certified and ANSI approved. Please contact us if you require technical or pricing details. 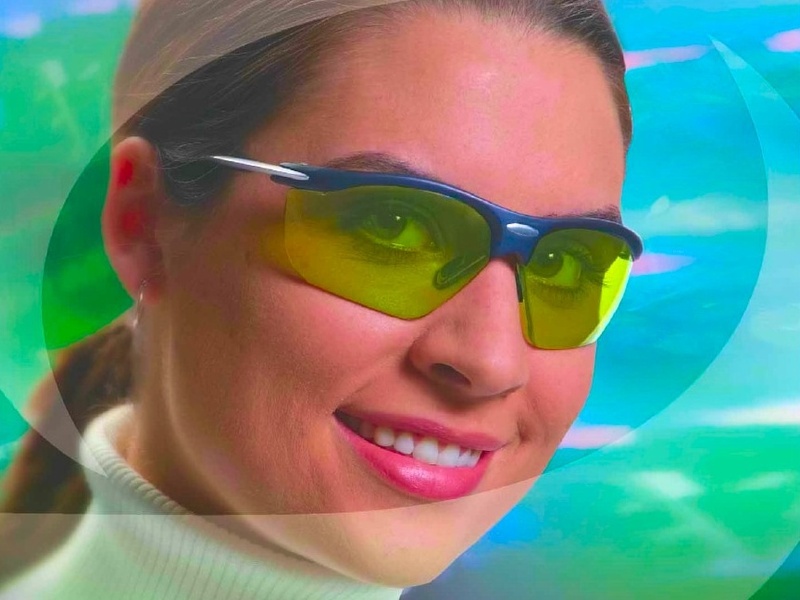 Elliot Scientific offers a broad range of eyewear products from trusted manufacturer Honeywell-Sperian that ensure comprehensive protection for your patients, clients and staff during a wide variety of facial and cosmetic procedures that involve lasers, IPL, or LED systems. In many cases they replace the need for intraocular shields while at the same time offering unobstructed access for treatment of the nose bridge, temples and all other areas near the eye. We stock a range of disposable eye patches for use with lasers, IPL, LEDs, low level laser therapy treatments and microdermabrasion. Thanks to these innovative products, cleaning and disinfecting patient and client eyewear is a thing of the past! I-Block II is an ultra-lightweight laser resistant shield covering the orbital area. SpectraShield is an inexpensive opaque lightweight alloy providing DIN EN 207 certified protection from 400 to 11,000 nm. SpectraView incorporates filters that enable the client to see during the procedure resulting in extra comfort. These re-usable products are easy to clean. We also offer a range of products suited to the needs of the operator and the assistant. From simple IPL shades and stylish laser safety eyewear, to the advanced electronic IPL Lightspeed II that offers active protection.